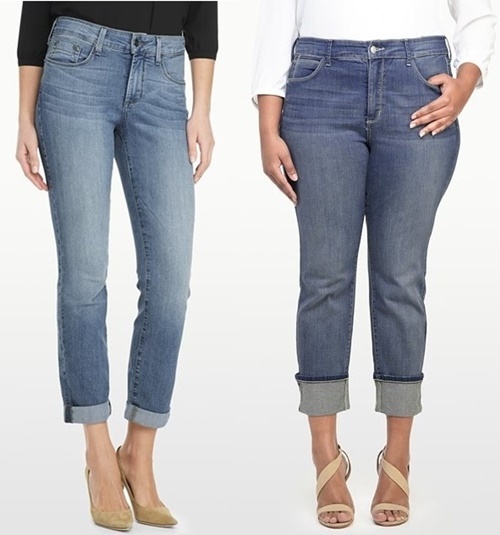 Babblings of a Mommy: The Five Pairs Of Jeans Every Woman Should Own. The Five Pairs Of Jeans Every Woman Should Own. There’s much to be said about a girl and her jeans. It’s a love affair that starts when you first put on the perfect pair. As time goes on your love deepens for denim. But like any relationship, jeans can leave you feeling frustrated, betrayed, let down, and less than flattering at times. You think that other articles of clothing will be able take their place. Until you realize, of course, that your closet would be a sad state of affairs without them. Sigh. Yes, jeans are complicated. But there’s nothing like finding the perfect pair that fits you and flatters you in all the right places. But having one pair of amazing-fitting jeans just isn’t good enough. 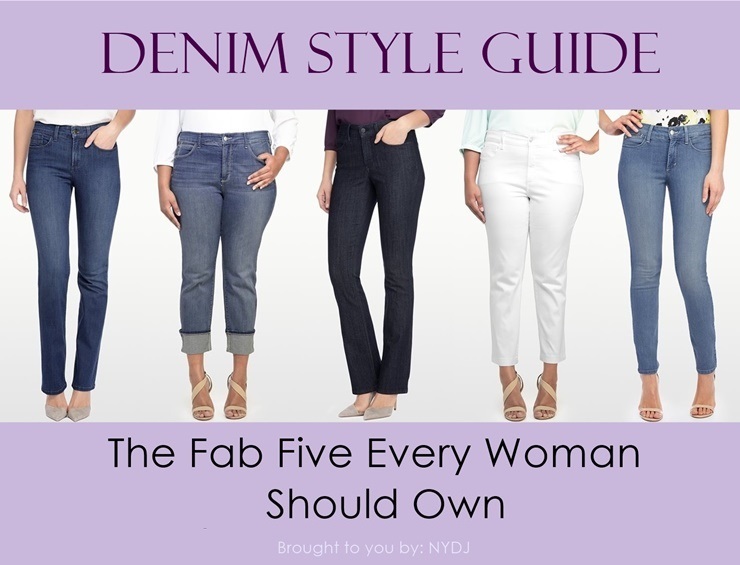 There are five universally loved styles that every woman should own (regardless of size), and lucky for us, NYDJ carries them all! 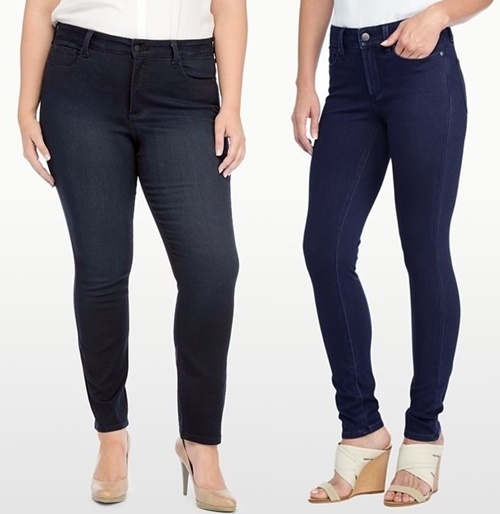 NYDJ is the creator of the original slimming jeans, designed with a superior fit that makes women look and feel one size smaller. Their premium denim has just the right amount of stretch - for comfort with no bagging - even between washings. Their Lift Tuck Technology® gives you gentle control in front while lifting and shaping in back. 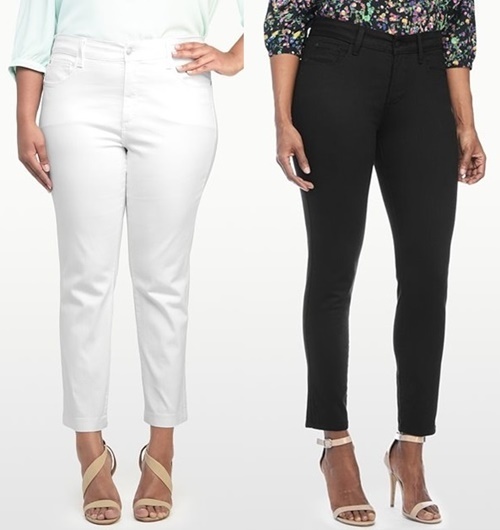 Because they know the right pair of jeans can transform not only how you look, but how you feel. These fab five styles will take you from day to night. From sleek, ready to hit the town super skinny jeans, to your trusty, comfy boyfriend jeans, here are the five types of jeans you should definitely own. So comfy they give sweatpants a run for their money. These slouchy favorites are great to wear when you still want to look pulled together, but above all just want to be comfortable. Style tip: elevate your look by cuffing and pairing them with heels. This slim cut silhouette works for all occasions and for all body sizes. Choose a pair that is flattering to your figure and keep it simple. Style tip: Go dark wash or black for a dressier luxe vibe. Add blazer and pumps for an impromptu date night. 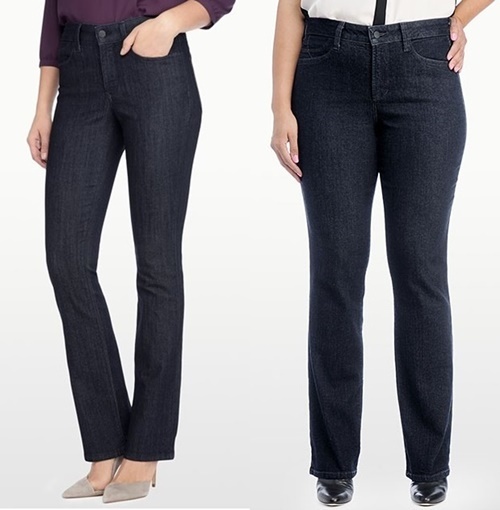 A classic bootcut is always in style and flattering for every figure. This slightly flared hem creates balance all over and is most forgiving. Style tip: Wear this polished look with other classic staples like a white crisp oxford shirt. This narrow cut is not to be confused with skinny. 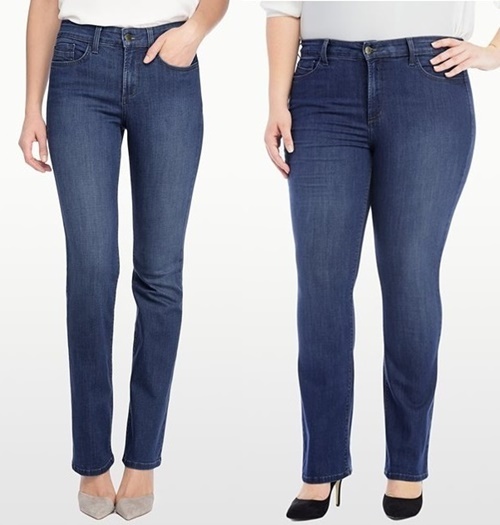 Although both have a slim fit, straight leg jeans do not taper at the hem. Widely popular for its simple clean fit. Style tip: Play up the classic look with a fitted sweater and classic flats. The wear-anywhere style. They work from day-to-night and look good with everything. Style tip: Wear them year round by paring them with sky-high stilettos, sneakers, or tucked into boots for colder months. Disclosure: This post brought to you by NYDJ. See disclaimer/disclosure for more info.